The new God of War promises to be a completely new experience and a dramatic departure for the series. Everything seems to be changing with the fourth major iteration in Kratos’ journey, something that is best exemplified by the new camera that the game will be using- a change from the fixed camera angles that the series has been known for in the past. But perhaps as important as the new camera will be the new progression system for the game, one that will allow for more flexibility and variability in terms of how players go through the game. 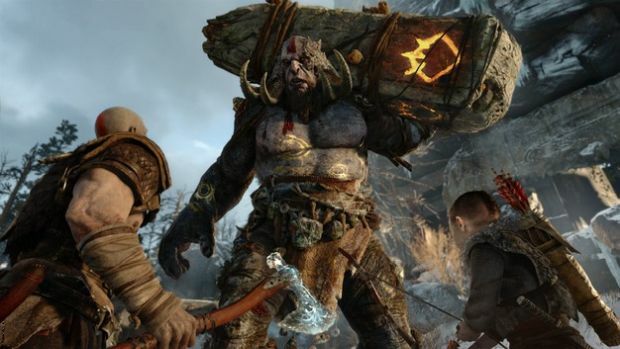 Speaking to Digital Times, director Cory Barlog discussed how the new progression system would work. All of this sounds good to me, although his example about outfits changing makes me worry that the progression system’s variability may only be superficial- let’s hope that is not the case, and players can actually develop Kratos based on their own play styles, like an RPG character build. God of War is launching exclusively on PlayStation 4 next year.